Two-generation`s 20 years old family house, 180 sm, in 1000 sm garden full of trees, garage, to sell in Budapest agglomeration, �rd. 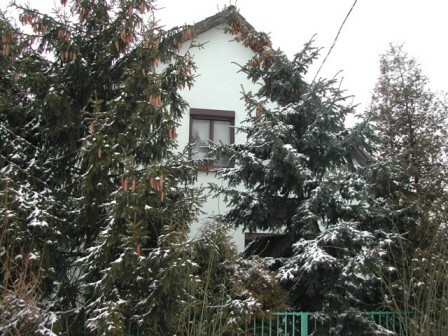 It is 10 minutes from Budapest XXII district by car. Public transportation (bus, train) is 5 minutes. The house has two independent stores. In the garden there is a swimming pool (it must be restored).